In May, the DIII National Championships brought together teams from all across the country. For smaller programs that primarily compete regionally, Nationals is one of the few and only opportunities for teams from distant regions to see how they truly match up. As teams don’t have previous experience competing against one another, it’s partially this mysterious sense of anything-could-happen that makes the DIII Championships an exciting and unique framework of competition. However, hidden within the rosters of three different teams were three players who know one another very well. Maya Gillett is a senior at Oberlin College and her sister, Josie will be a sophomore at Bates College next year. Their first cousin, Fiona Bruce, recently finished her freshman year at the University of Puget Sound. In a flurry of serendipity, Maya, Josie and Fiona all qualified for their first ever appearances on the DIII Nationals stage in 2016. The North Carolina town of Winston-Salem essentially served as a reunion site for their family, as relatives flew in from near and far to watch, cheer, and celebrate the athletic successes of their daughters and nieces. These three players had very different types of seasons and experiences at their respective schools, but all similarly credit the support and encouragement of their family as a major reason for why they love the sport. Maya shares, “my family has been one of the biggest reasons that I started (and continue) to play ultimate, because they’ve been so enthusiastic and supportive about it, particularly when it comes to treating it like a legitimate sport – they’re huge fans. When we’re all home, it’s probably our biggest topic of conversation.” Maya has now been playing for nearly nine years, deciding to try out the sport that her sister had been enjoying so much. As a fourth grader in 2005, Josie Gillett was the first in the family to begin playing ultimate, and is now a member of USA’s 2016 WJUC U-19 women’s team. She also recognizes the importance of her family’s support, along with the opportunity to play with her sister throughout high school in the thriving ultimate scene in Seattle. Ultimate was actually considered a Varsity sport at her and Maya’s alma mater, giving it both legitimacy and institutionalized support within the school. Still riding high off of the qualification, the Oberlin team headed south to Nationals with a smaller roster than they had during the rest of the series, a fact that Maya had some reservations about. “Unfortunately, D3 Nationals was on our commencement weekend, so not many of our seniors were able to come with us. It would be sad regardless, not getting to share this exciting experience with them, but it’s also tough because they make up a significant portion of our team, both in numbers and in experience/leadership. But that said, we’re a pretty deep team this year…One word we’ve started using to describe ourselves is “scrappy” – actually, I think Haverford used it first, but we liked it – and I think that’s how we’re all kind of going into this tournament.” Oberlin went without a win at Nationals, but had great games against frontrunner teams such as Rice and Puget Sound. Josie Gillett describes Bates College Cold Front’s season as reaching a “new level of intensity” after the squad was not able to play at Sectionals last year. 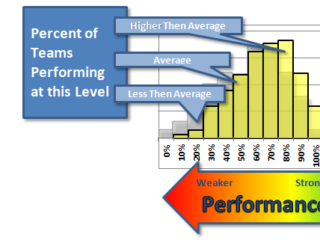 Qualifying for Nationals demonstrates a huge turnaround and renewed level of commitment to reaching high levels of play. Fighting against the bitter Maine winter for much of the year, the team worked hard to make their indoor practices productive training opportunities and relished the chance to finally train outdoors. Josie says that this year’s Cold Front brings a very large class of seniors to the field — and they’re ready to make their last tournament of the year one to remember. Josie was a leading force for Cold Front’s offensive power, which brought them undefeated through bracket play to a tough loss in the quarterfinal against the tournament’s eventual champion, Carleton Eclipse. Puget Sound attended DIII Nationals this year after setting the goal to qualify for the tournament at the beginning of the season. Fiona notes that their first place win at DIII Warmup was a pivotal, exciting point of the semester showing their comparative success against other teams in the division. Hosted by Claremont outside of Los Angeles, DIII Warmup is one of the few tournaments that brings DIII teams together other than the National Championships. Then, Clearcut’s following performance at Northwest Challenge – competing against some of the highest level college teams in the nation – served as a bit of a “wake up call” Bruce says. This challenging experience allowed the team to focus in and develop the intensity they needed to qualify for Nationals. As a player brand new to Ultimate, Fiona describes the opportunity to play at such a high level of competition as both thrilling and nerve-wracking, and that the chance to see family at the tournament was an added bonus to the whole experience. As fate would have it, Oberlin and UPS matched up against each other in the first round of pool play on Saturday. The cousins Maya and Fiona had not played against one another before, and it was exciting to see how one another’s teams worked differently in one of the most spirited games of the day. Puget Sound came away with the win, but the chance for the cousins to get an insight into the communities and playing styles of each other’s teams was overall a win-win. Maya, Josie, and Fiona have been following and checking in with each other’s teams and seasons due to their familial connections, but collectively note that information and coverage for DIII tournaments, players, and teams is sparse, if it exists at all. 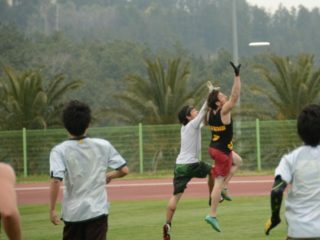 Along with hindering the creation of community and sharing of information across regions, Maya worries that this “lack of representation can make it hard to recruit new players into the sport.” Taking a step back, as more and more people begin playing ultimate before college, if the media is silent about the successful programs at smaller DIII schools, this could even influence the decision talented players make about where to go to college. The DIII National Championships could serve as an amazing exception to the radio silence that typically accompanies the division. 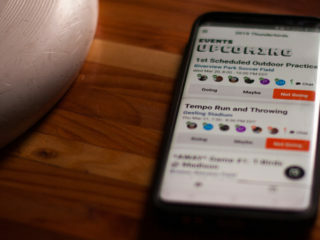 By bringing together the best teams this tournament offers a great opportunity to both bring smaller-school Women’s Ultimate into the national spotlight, as well as to help better connect a long-distance community network of women who love the sport. While it is literal in the case of Maya, Josie, and Fiona, in many ways the spirit and shared experiences of Division III Women’s teams have the potential to also feel like an extended family. This year unfortunately, the opportunity was largely wasted. 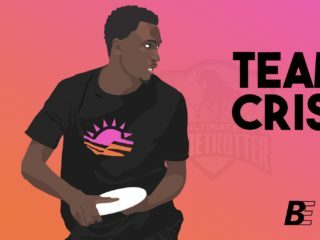 While USA Ultimate did publish recaps for both days of the Women’s Division, no other ultimate media outlet published any written coverage on the area. 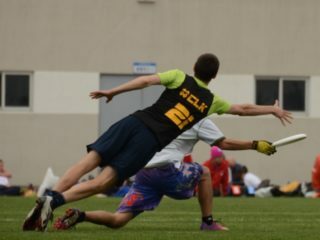 One preview article was written by Ultiworld specifically about the Men’s Division a few days prior, and Ultiworld also later released a highlight video of the first day of competition. In this video, out of the nearly three and a half minutes of highlights, just 50 seconds — or 26% of the clips — are of the women’s division. DIII Women’s teams themselves were frustrated by this disparity and overall lack of media attention of their highest level of competition. Lane Davis, co-captain of Williams LaWufa, who placed 5th in the nation this year, wrote this letter to Ultiworld expressing her disappointment in the “relative exclusion of [DIII] women’s ultimate” from their coverage. Several of Davis’ family members were unable to attend the tournament, and it was actually Lane’s sister who was the first to view the highlight reel and share her frustration with their DIII athlete about “how few clips of women it included.” Gillett family members also expressed their strong dismay at this disparity in coverage, especially as extended family was hoping to follow the action from across the country. After all, family reunions, exciting upsets, star players, and unique stories exist powerfully within the DIII Women’s community–as they do in every division–and this news deserves to be shared with its waiting audience. In the fall of 2013 I, as a sophomore player for Oberlin College, reached out to Skyd Magazine asking the same questions that are being asked today: Why is there unequal coverage for the DIII Women’s Division? Why are our contributions less celebrated and included in the discussion of the sport? Skyd’s response was simple: if it’s important to you, write about it. As the magazine’s DIII Women’s volunteer contributor I have published over 15 articles exclusively about the athletes in this under-covered division, my frequency of publishing waning as my level of schoolwork waxed. Now, as a college graduate I am committed to writing frequent feature stories about Division III women’s ultimate; but I absolutely cannot take on this job alone. There are a variety of ways that everyone can help support the growing Division III women’s ultimate community. For starters, support the essential work of groups like WithoutLimits and Girls Ultimate Movement, and keep the discussion going by writing your own commentary or articles and submitting them to relevant sites. If we all watch videos of DIII Women’s teams, follow the competing teams on Twitter, and demand further coverage of the division from the media, the weak argument that “there is no audience” can finally be put to rest. The ultimate community, like a family, works best when it supports each other and keeps conversations about important issues flowing. Since we don’t have a dining room table big enough for all of the DIII women’s ultimate players, fans, and families, the internet will have to do. Let’s make it what we want it, and need it to be.